The International Court of Justice (ICJ) has begun its public hearing over the case of Kulbhushan Jadhav, who has been sentenced to death by Pakistan on charges of being an Indian spy. India moved the ICJ in May in 2017 against the "farcical trial" by the military court of Pakistan against 48-year-old Jadhav. 18 February 2018: Public hearing in Kulbhushan Jadhav case in ICJ underway. Harish Salve is representing India & Kulbhushan Jadhav. External Affairs Minister Sushma Swaraj said India had two days ago sought diplomatic access to former Navy officer Kulbhushan Jadhav. India filed its second round of pleadings to the ICJ at The Hague. "In keeping with the order of the International Court of Justice of January 17, 2018, India today (Tuesday) submitted its reply in the court in the case of Kulbhushan Jadhav," the External Affairs Ministry said in a statement. Pakistan submitted its second counter-memorial in the ICJ on the conviction of Kulbhushan Jadhav. Pakistan's 400-page reply, a rejoinder to India's last reply of April 17, was submitted by Foreign Office Director India Fareha Bugti, Geo News reported citing sources. It was prepared by a team of experts led by the country's Attorney General, the report said. 15 May 2017: The ICJ to hear the case of Kulbhushan Jadhav as India and Pakistan presents their argument in the trial. 9 May 2017: The ICJ puts a stay on the death sentence given by Pakistan to Kulbhushan Jadhav after an appeal from India, which accused Pakistan of "egregious violations of the Vienna Convention." 8 May 2017: India moved a petition in the UN seeking justice for Jadhav after being denied 16 consular accesses, alleging violation of the Vienna Convention on Consular Relations by Pakistan. 26 April 2017: Pakistan denied India's 16th request for consular access to Jadhav. 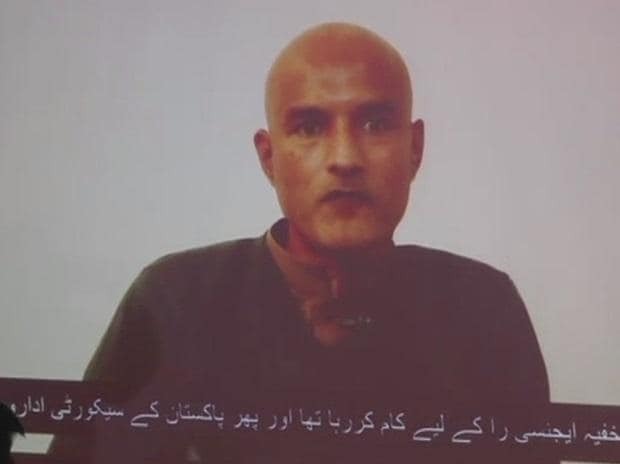 10 April 2017: Pakistan Army's Inter-Services Public Relations (ISPR) in a press release informed that Jadhav had been awarded the death sentence by a military court in Pakistan. 6 January 2017: Pakistan announced that it has submitted a dossier to the new United Nations' Secretary General Antonio Guterres over Indian interference in Islamabad, which was aimed at "destabilizing" the nation. 25 March 2016: Indian authorities are notified about Jadhav's arrest in a press release. 3 March 2016: Kulbhushan Jadhav, retired navy officer accused to be an Indian Intelligence agency RAW's operative arrested in Balochistan.